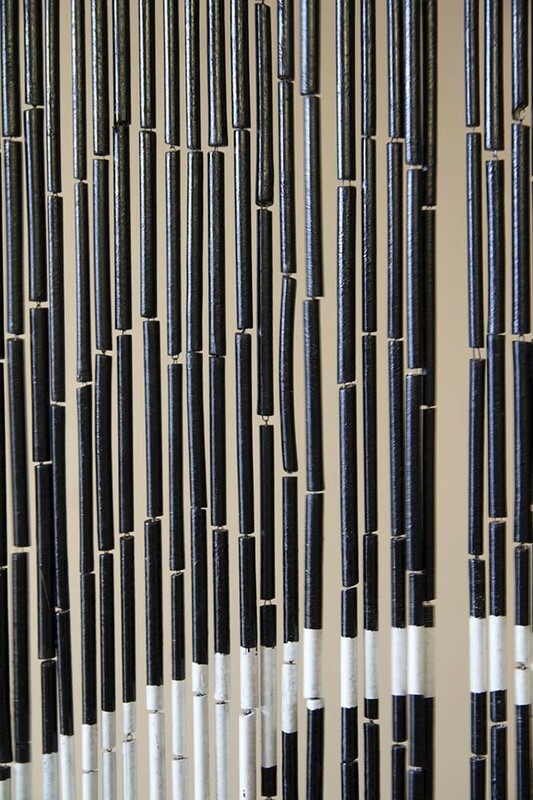 Fun, funky and functional, the Bamboo Door Curtain in Black in White is a work of art! 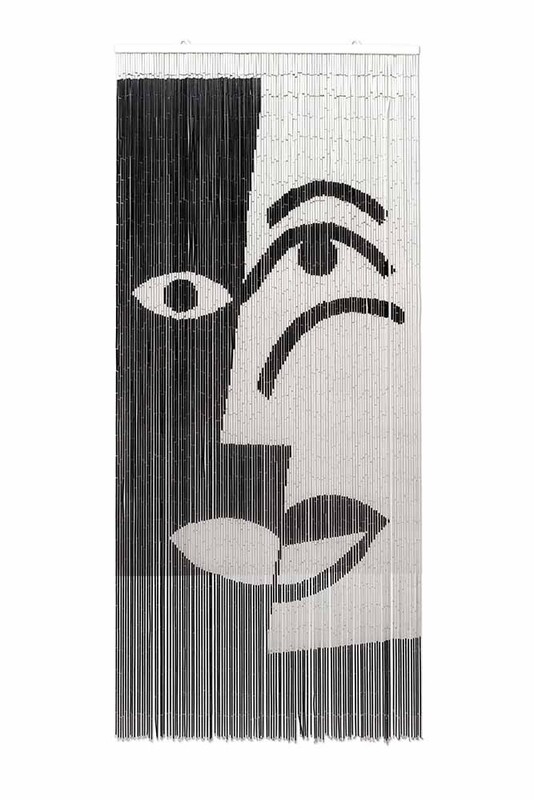 Handmade in Vietnam, the Bamboo Curtain consists of 120 strings of beautiful bamboo with an abstract portrait hand-painted on both sides of the curtain. Measuring height 200cm x width 90cm and featuring a subtle black and white colour palette, the Bamboo Door Curtain is perfect for dividing space or creating a statement focal feature on the walls of your home. Capturing the spirit of the 70s, beaded curtains are back with all the nostalgia of before but a hell of a lot more style! 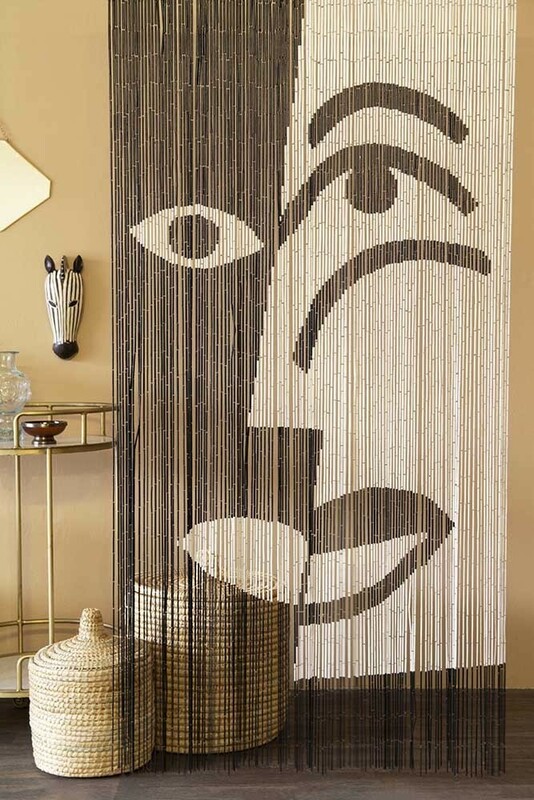 Hand-painted in monochrome tones, the Bamboo Door Curtain takes inspiration from Cubism and linear art with simple shapes made into an abstract face design that introduces a refreshing, modern take on beaded curtains of the past. One for monochrome lovers everywhere, the Bamboo Black & White Door Curtain is part of a collection of three, with a tropical jungle design and beautifully bold bamboo curtain featuring exotic birds and flowers also available. Ideal for use in place of a door, the Bamboo Door Curtain in Black & White adds instant impact and is an amazing way to divide two separate spaces whilst also maintaining a connection between the two – plus it’s way more fun to walk though! Not just designed for the door, the Bamboo Curtain is great for creating zones within the rooms of your home and can even be displayed against a bold painted wall for an alternative piece of art that will wow your guests as soon as they enter the room.